Cornelia Tietz has been working at the chemical industry association Cefic and formerly Cefic owned service provider ReachCentrum for 13 years. 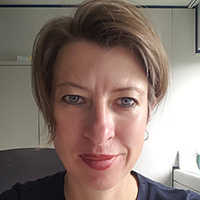 After a short intermezzo at the Rubber and Tyre associations, she has now been heading ESIG, the European Solvents Industry Group, a Cefic Sector Group, since March 2017. Her strength lays in project management and advocacy. Cornelia holds two degrees in humanities and started her professional career as a teacher. We would like to update your sector as one of the major downstream use sectors on the latest trends and activities that link our associations and industries. What’s new in Responsible Care and Product Stewardship? A comprehensive overview on available material on safe handling of solvents and the new ESIG Solvent Award will be given. Building on the EU Commission’s Circular Economy Package, we will position solvents in the debate and our life cycle assessment data collection. “Future-proof” solvents: prospects for solvents in adhesives and sealants in the coming ten years.